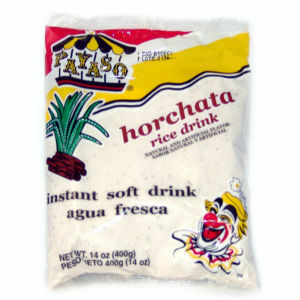 Payaso Agua Fresca Horchata is a delicious drink mix that is the most typical of the Mexican, Central and South American drinks. Mix with water or with milk and you will enjoy the very best. Try all our popular flavors!